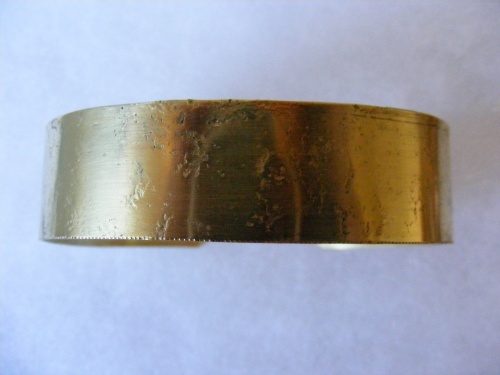 This cuff bracelet is made oh hammered bronze with a comfortable fit. Will fit a wrist from 7"-8" comfortably and measures 3/4" wide. Piece has a wax coating on it to help delay tarnishing.